RunningFanatic Toolbar is a toolbar and malicious browser extension. Users normally got this adware from third-party programs, freeware, and shareware. It is bundled to free programs and sometimes offered as added app to install. However, in most cases, RunningFanatic Toolbar is installed without users consent. Throughout the setup of downloaded freeware, RunningFanatic Toolbar is also loaded into the computer without taking permission from user. The adware make changes on the system as well as targeted Internet browser. RunningFanatic Toolbar adds toolbar and other components that intend to promote a program or sell a product. RunningFanatic Toolbar may also replace the default search with its own design using known search engine such as Google, Bing, or Yahoo. There are also instances that custom search box of this adware may overtake your home page, start-up page, or new tab window. Security experts deemed RunningFanatic Toolbar as an adware. It is not technically a virus. Main goal of this program is to deliver ads and promote software that in return will generate revenue for its authors. Files and registry entries dropped by RunningFanatic Toolbar are not so harmful, although they are annoying when integrated on most browsers. 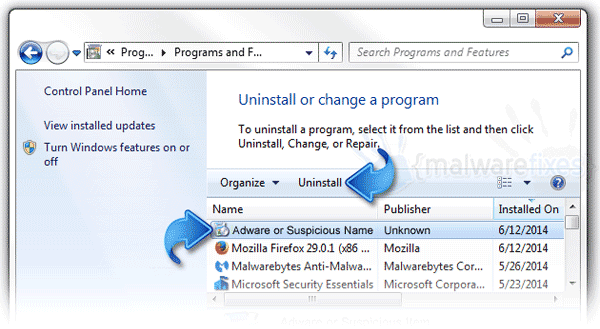 Removing RunningFanatic Toolbar adware can be done by simply disabling add-on, extension, or plug-in it has dropped on the PC. For a complete guide, please see the removal section on this page. 3. Look for and remove RunningFanatic Toolbar or Snap.do entry. If not present, look for any suspicious labels that was installed recently. 4. It searches for presence of harmful programs, plug-ins, add-ons, or any data that were found malicious and linked to RunningFanatic Toolbar. You need to Clean all items detected by this tool. After the previous scans, you may have deleted RunningFanatic Toolbar from the affected browser. This next step will ensure that no more module of adware will be left on the browser. This free tool scans and checks the browser for unwanted add-on and extension, and if found, Avast Browser Cleanup will give you a report and suggestion. 4. Avast Browser Cleanup will confirm before it permanently deletes the add-on. Please click Yes to proceed with the removal of RunningFanatic Toolbar on the affected browser. Cleaning your internet browser from clutter and unwanted add-on/extension is a must when dealing with RunningFanatic Toolbar. The procedure below discuss on resetting various browsers to its default state. Resetting Google Chrome to default settings is helpful in deleting hard-to-remove extension such as from RunningFanatic Toolbar. This method is highly advisable to perform if you have difficulty in removing unwanted extension. 6. Close the existing tab and restart Google Chrome. That should have removed RunningFanatic Toolbar extension. 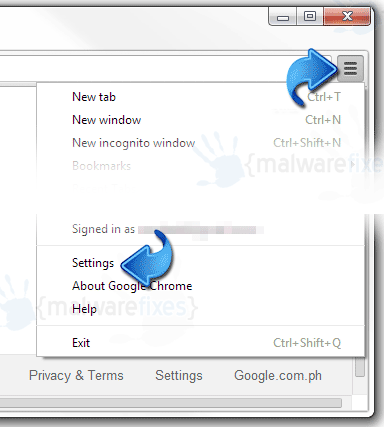 This section describes how to remove unwanted extension from Firefox that may be related to RunningFanatic Toolbar.. This process can fix many browser issues by restoring Firefox to factory settings without affecting your essential information (bookmarks, browsing history, passwords, and Internet cookies) on the browser. If you desire to remove only specific extension, please see manual removal of add-on from Firefox. 4. Firefox browser will close and start the resetting process. When done, it will display a list of restored data. RunningFanatic Toolbar should be gone by now. Click Finish to open a fresh version of Firefox. Your data like favorites, bookmark, and history will remain in the browser. However, this process may delete add-ons by RunningFanatic Toolbar and other unknown objects. If you prefer to carry out the procedure manually, please add-on removal from Internet Explorer.